The Giant1227 was originally commissioned for the Roald Dahl Museum and Story Centre to be part of an oversized set of his writing den. 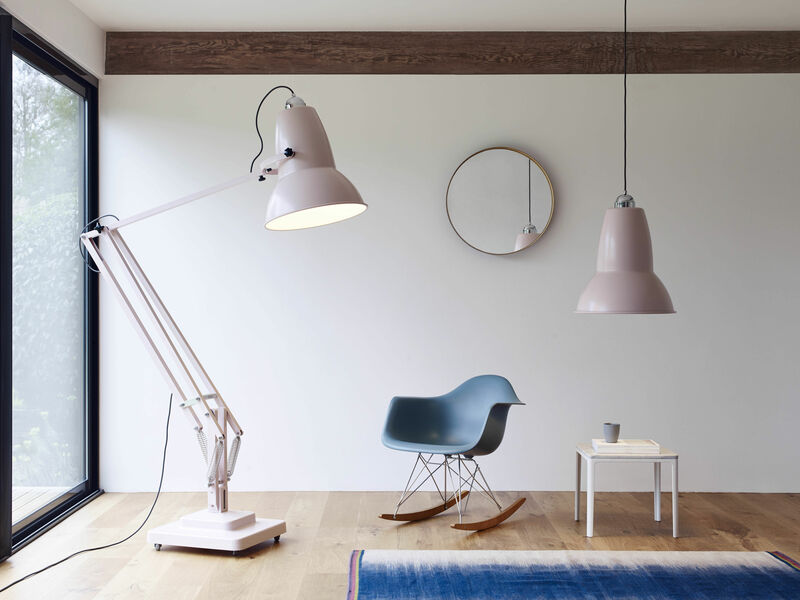 Roald wrote all of his stories in his writing den in Great Missenden under the light of an Original Anglepoise 1227. We initially made three lamps, and another one was auctioned off at Christies to raise money for the museum writing fund and it was bought by film Director Tim Burton, to go next to his giant chair from the remake of the Charlie and the Chocolate Factory film. 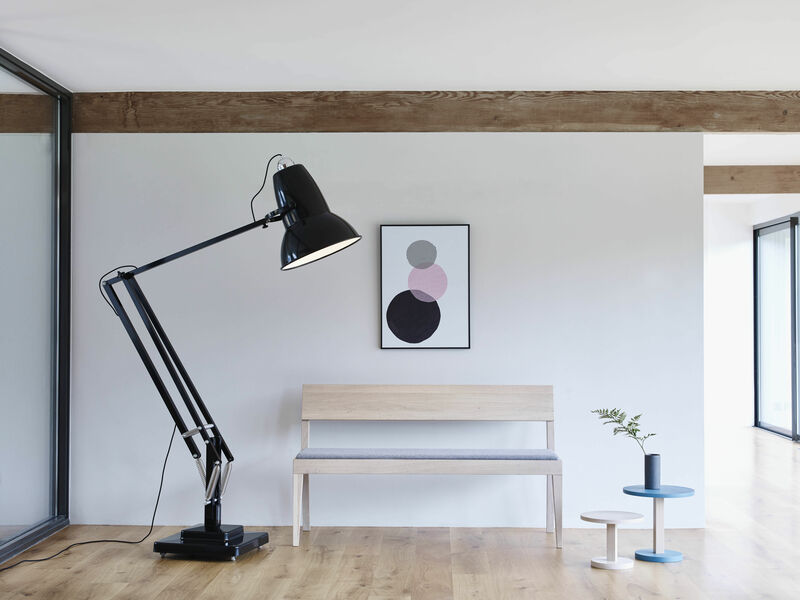 The last one was exhibited at 100% design in London and went down so well that we put the product into production as a Limited edition product, 250 of these were sold in black, and then the Giant1227 was launched in a range of colours. The product is three times the size of the Original 1227 from 1934. It works really well as a talking point or a centre piece in a range of interiors. It has a aluminium base with castors for easy positioning, and comes supplied with a bulb and dimmer for controlling the light output to suit different locations.